Many people experience sickness or injury at some point in their life. It’s time-consuming, can cost quite a lot and can be somewhat of a burden on your day-to-day budget. Don’t let it overwhelm you. You have time to consider what options are available to you. Resources are available for those struggling to fight or pay off medical bills. Here are three helpful tips to get you back on track. The best way to fight illness and medical costs is to never experience them at all. Though this seems trite, it’s true that being proactive about your health and possible health care risks can help you lower medical costs later on. If you begin doing research into your health needs, history and family history, you can begin to plan out regular workout regimens or appointments with appropriate specialists. Being proactive means taking the time to research your body and all of its intricacies. One way you can find out the likelihood of your falling ill to certain diseases is to do some DNA testing. You’ll find locations for this all across the country, even DNA testing in NY, that allow you to see a whole picture of your family’s health history. Looking at your family history of illness can be daunting, but it’ll prepare you for possible illnesses that may come your way in the future. And since DNA testing shows genetic mutations or medical concerns that can be addressed, it is considered a preventative service and can be covered by your insurance policy. Seeing whether it will be covered by your insurance policy will deduct another large cost from your already growing bill. Another preventive measure to take is to see a dietitian or exercise physiologist, especially if you know your eating and exercising habits are not good. The reason why these two experts are the best to visit is because dietitians and exercise physiologists both are required to earn master’s degrees. They are not self-titled nutritionists and personal trainers who have a lack of training in the human body and could possibly lead you astray. A dietitian will be able to work on meal plans that give you vital nutrients and keep you healthy. An exercise physiologist will be able to work on regimented exercise with you, and can modify exercises based on your past injuries to avoid future ones. Both of these specialists will be able to cater to your needs and progressively improve your overall health. Now let’s say you’ve already fallen ill or have injured yourself. The medical bills are coming and you are unsure of how to pay them. This is where financial planning will come in use. A financial plan is an evaluation of a person’s current pay and impending financial state based off of future costs that must be made. There are plenty of avenues one could take when financial planning, and some are more costly than others. First, you could reach out to financial planning services to see what they offer. This adds another cost that you’ll want to consider. However, if you’ve never made financial plans before, seeking professional help would be a good idea. 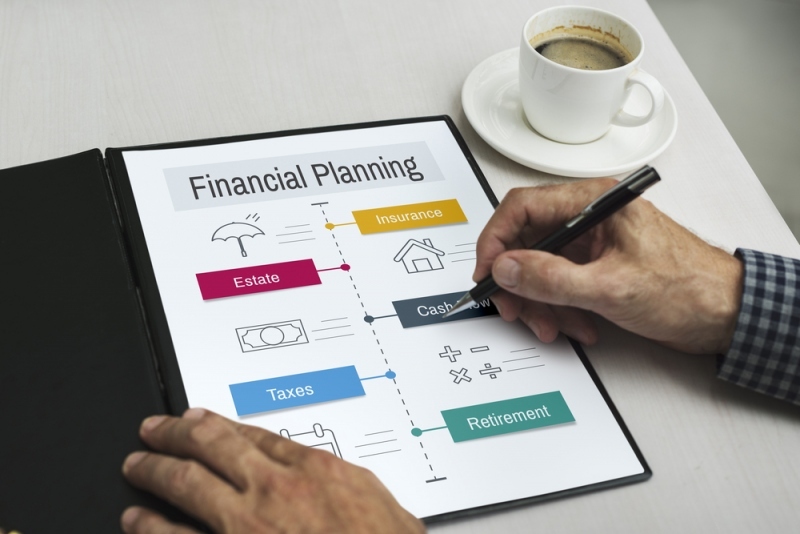 Often, the financial planner understands you are already in a tight bind from other hefty costs and will work with you on paying for their services. Another option to consider is to do some research on financial plans and create your own. This route will be easier for you if you have already created financial plans, small or large, in the past. A quick internet search of sample financial plans will show you how to assess your current income and impending payments to see how you can plan use of your funds. This will mean tracking money made and spent, and avoiding overspending. When making and enacting this plan, keep track of all of your important documents. Itemize the bills you receive and keep paper copies of payments; it’ll help if you ever have to dispute a payment or charge made. Lastly, if you’re grappling with the news of a diagnosis, you will want to do your own research. If you were just diagnosed with colon cancer, then start researching facts about colon cancer and find the right doctors for your specific disease. You can’t go to your regular family doctor to cure something like cancer; you’ll need a specialist. A medical specialist is a doctor who has completed advanced education and additional clinical training in a particular area of medicine. Often, their specialty will be listed along with their name online or will be in the “about” section of their practice’s website. You may also want to consult with your insurance agency to see which specialists in your area are covered by the company. When preparing to pay for large medical bills, the last thing you’d want to find out is that you could’ve had lower bills had you gone with a different doctor. There are a few ways to check to see if your specialist is covered under your insurance. You can either start by logging onto your insurance company’s website and searching for specialists covered under your plan, or you can call your designated agent. Also be prepared to answer specific questions about your experience with the illness. This is where doing research ahead of time comes in handy. You can tell your doctor about the symptoms you are feeling and whether or not they match online information about the illness. Obviously, don’t let online information tell you what you are feeling; be honest with your doctor. But comparing the symptoms you have and don’t have in common with the information can let the doctors know if there are multiple underlying diagnoses. You will want to do your research prior to reaching out to any doctor so that you are prepared for any discussion you’ll have. If you find that any of the information above is unhelpful and that you truly are paying too much for your medical bills, you may want to consider fighting them in a court of law. In this instance, you will want to talk with a lawyer skilled in medical and financial malpractice suits. If you are unable to make regular payments, the hospital or physician may slam you with a medical debt lawsuit. Be prepared to fight back with reasons as to why you were unable to pay that bill as well as why the steep medical costs were unfair. Ultimately, being diagnosed with an illness or injury can be terrifying, especially when you consider the costs that are involved. Take some time before acting to do research into how you should approach the situation. Look into doctors who specialize in your specific need and research what your specific diagnoses entails. Make sure that every aspect of this medical experience is either covered by insurance or by a tight financial plan. Be smart about how you approach this or else you may find yourself spending time in court for not being able to pay the medical bills back.